A new experience has arrived! Perfect for nature lovers who don't want to rough it, our Eco Tent combines camping with comfort! 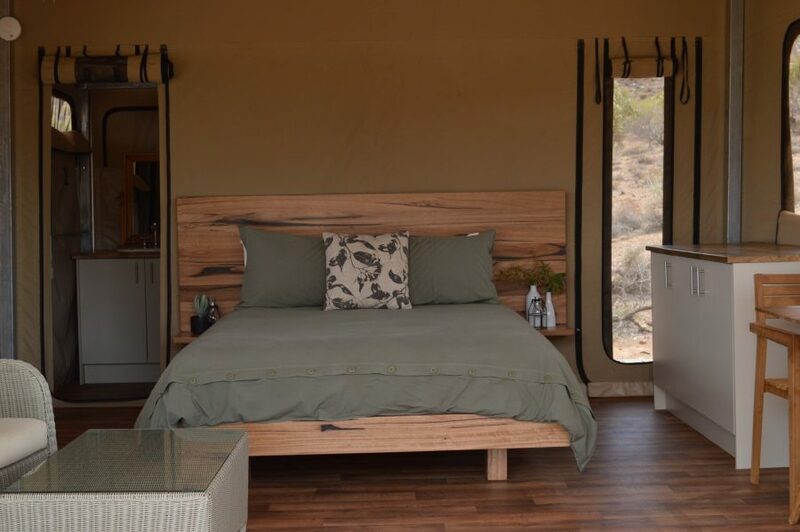 Recently refurbished our Eco Tent is designed with minimal environmental impact creating the perfect nature based experience, offering couples a secluded and peaceful retreat from the hustle and bustle of daily life. 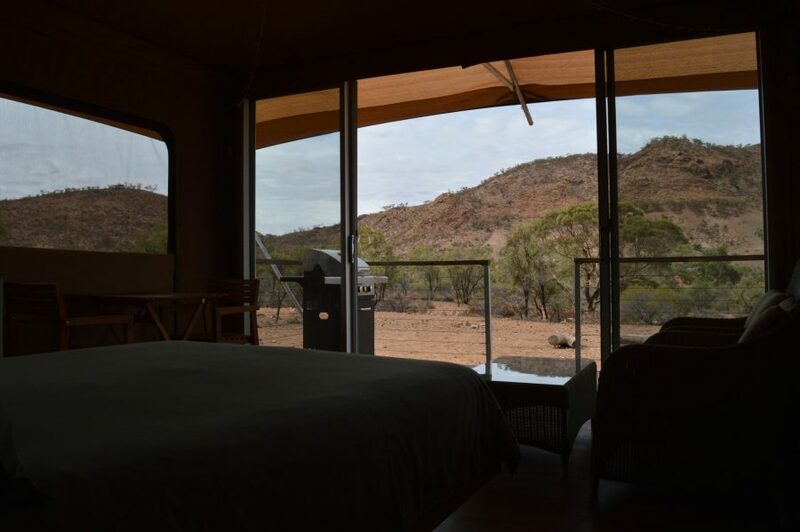 Positioned on a small rise and surrounded by some of the oldest hills in the Flinders Ranges, you can really appreciate nature and the local flora and fauna as kangaroos and emus graze along side you. 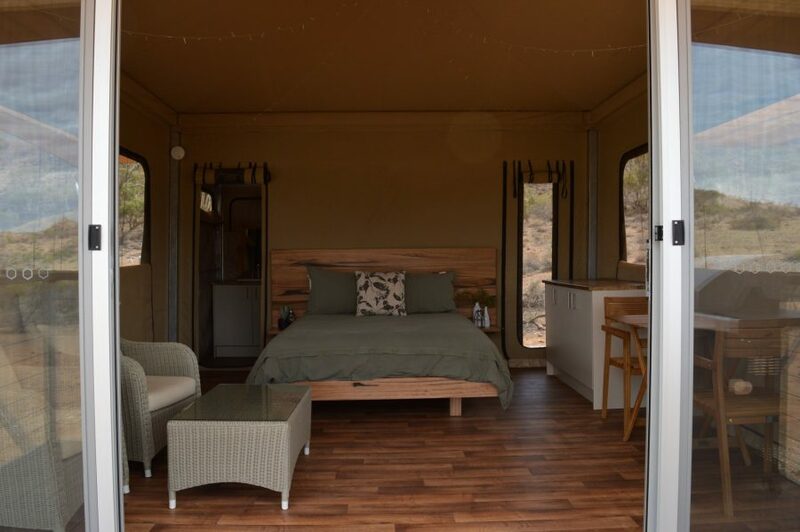 Fully self contained, the Eco Tent provides everything needed for a comfortable stay. 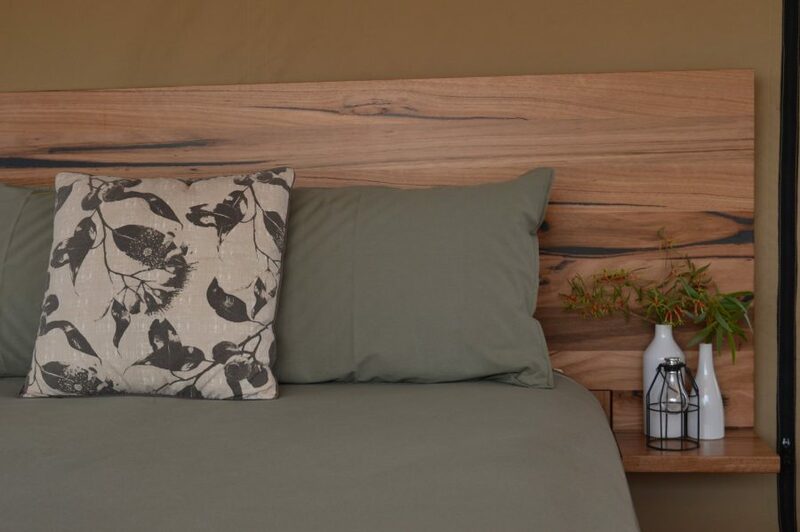 A queen size bed dressed in quality linens and an Australian wool blanket (we are wool producers after all!). 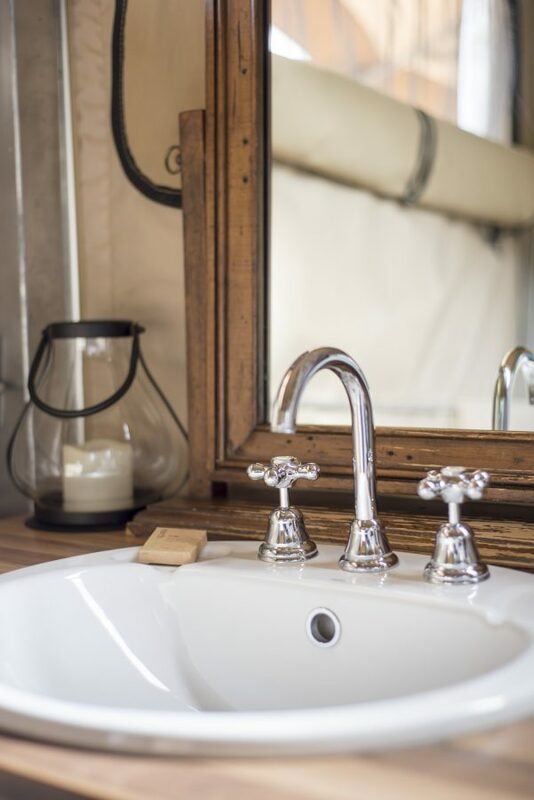 Amenities include a small kitchenette and BBQ for self catering and an ensuite with an eco friendly, composting 'nature-loo' and gas hot water. Due to the secluded location there is no electricity. Lighting is provided with battery powered lanterns, whilst fairy lights adorn the canvas ceiling. There is no mobile phone coverage at the Eco Tent. Take this time to enjoy a digital detox. Located in Willow Waters Gorge, 6km from our homestead and 21km east of Hawker. 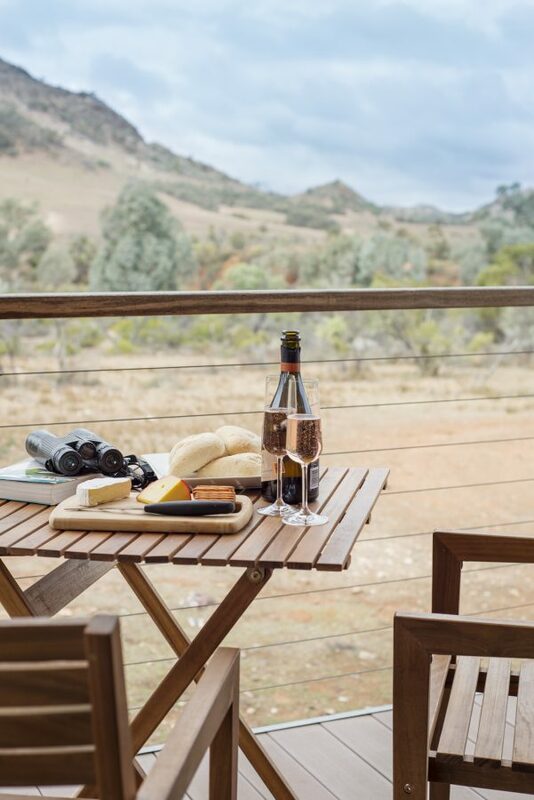 Package includes 2 nights Glamping, $50 voucher for Cradock Hotel, Australian Sparkling wine and local Quandong chocolates on arrival. 5% discount already applies. Beautiful, isolated location for a camping getaway (with a few little luxuries...). Great views from the ridge behind the Eco tent and plenty of nice walks to be had through the creek beds. The 4WD track was also a great way to spend a day including a picturesque lunch by one of the many creek beds. Hard to beat watching the sun set over the ranges cooking on the Weber Q with cold beer in hand! Great job Sharon and Allen. 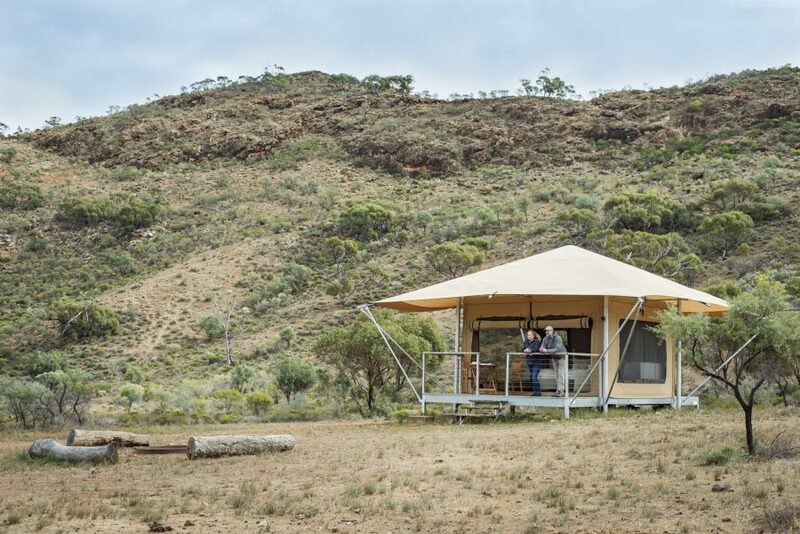 The Eco Tent was a fabulous way to experience the beauty and serenity of the Flinders Ranges. We were blessed with sunny skies and starry nights as well being able to experience a thunderstorm from the luxury of our permanent tent with ensuite toilet (no going out in the rain for these happy campers!!) A walk through the Willow Waters Gorge is a must for anyone wanting a first hand experience of the beauty that nature can deliver. Thankyou Sharon and Allen for sharing your backyard with us. My husband and myself just spent a weekend relaxing in the Eco tent, we truly loved it and will definitely revisit . It has everything you could want , just bring your clothes and food . We found the eco tent exceptionally clean , very comfy bed and beautiful cane chairs to relax on the deck overlooking the fire pit. The star filled night sky was amazing !! Spent an evening with a few drinks around the fire , next time we will stay an extra night , we enjoyed it so much. We were surprised how balmy the evenings were and slept with the canvas open , waking up to the most fantastic views and the sounds of the birds. Enjoyed quiet walks through the gorge , lots of kangaroos and emus roaming . If you are looking to completely relax & unwind in total privacy in a beautiful setting this is the perfect place. We spent 2 nights staying in the Eco tent. Beautiful mountain and creek views in every direction. The Eco tent was clean and attractively presented. This place offers the opportunity to relax and do life simply or to hike and explore in a scenic setting that is truly Australian.